Mombasa, Orlando Julius, Ebo Taylor, The Mebusas, Super Boire Band and more. This show was 1st in the global world music chart and 1st in the global funk chart. 30 copies on CD with hand-made artwork by Jagel. The intro is a gem! That Roy Wood Jr. skit is timeless. Africa well represented. Amazing mix. 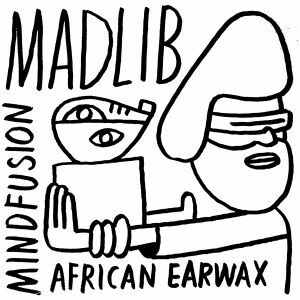 Thank you Madlib. This is an awesome piece and funny as heck !!! As a composer, I&apos;m into electroacoustic, so I don&apos;t advise you listen to my music. But as a listener, the whole world is mine, and I must say your mix is top! great selection as well!